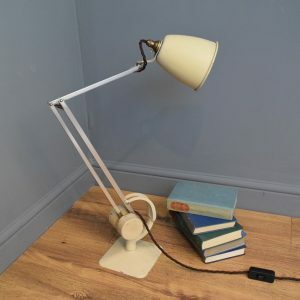 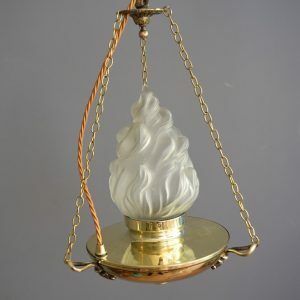 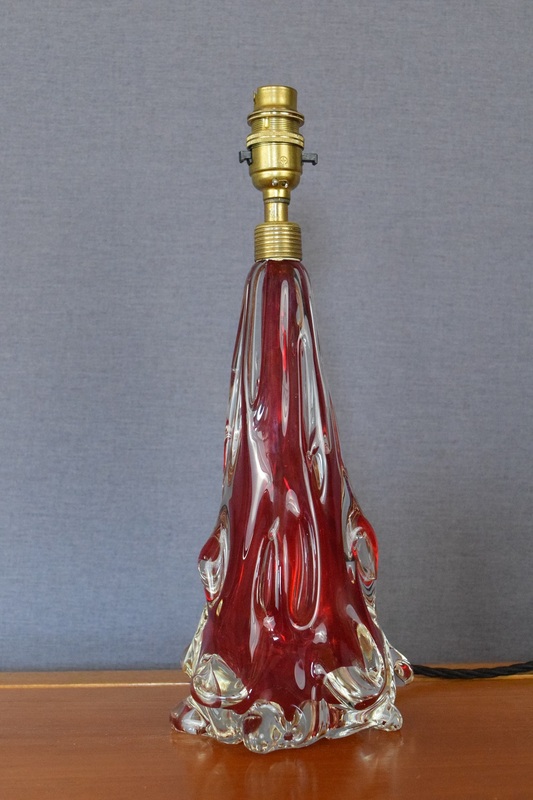 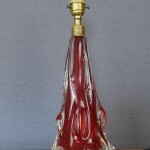 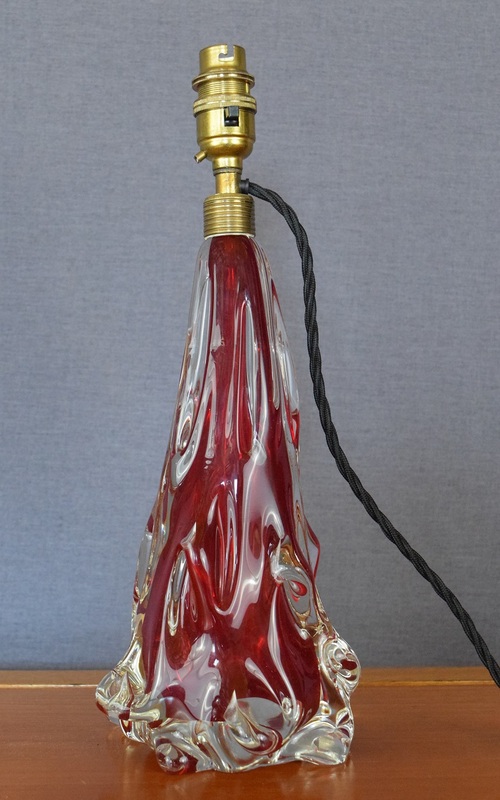 This vintage french table lamp base is made of heavy glass and is in a fluid splash design. 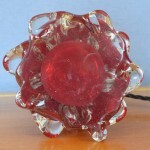 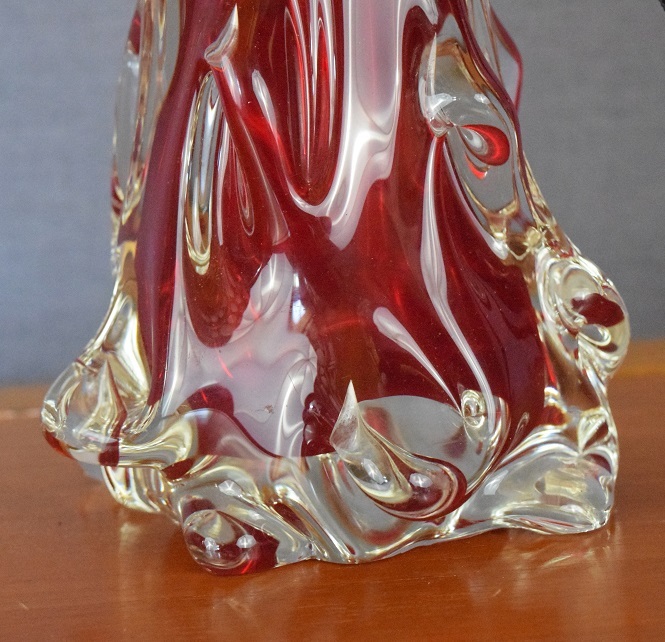 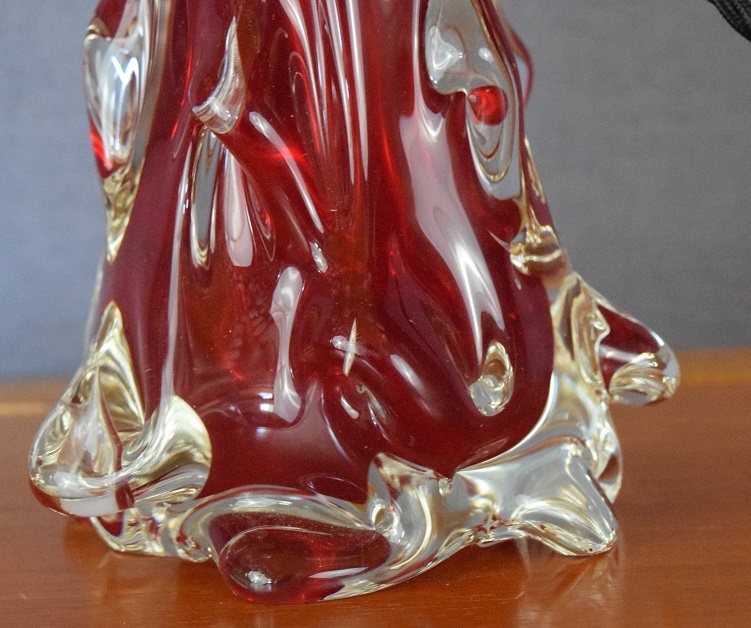 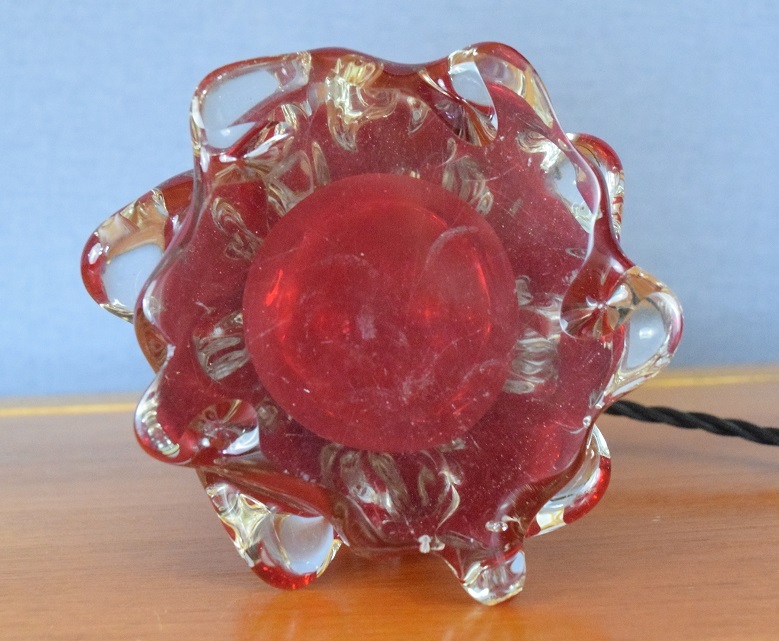 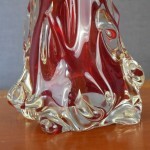 Eye catching red glass in a very unusual design - similar to those designed by Val St Lambert. 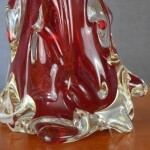 No maker's mark. 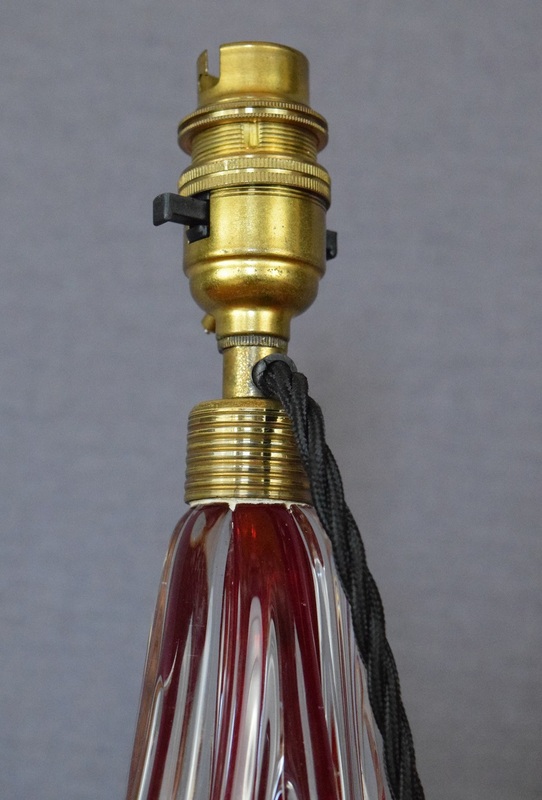 Sold as a base alone, so that you can choose your own shade. 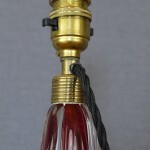 Wired with approximately 2 metres of antique style braided triple flex in black. 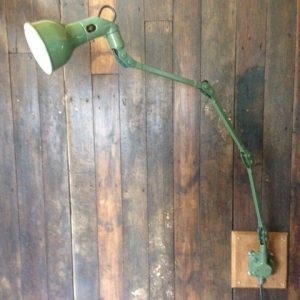 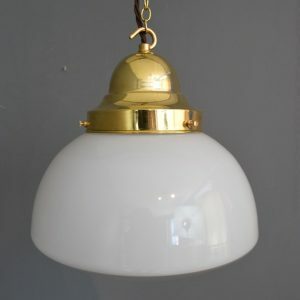 Fitted with a brass B22 bayonet bulb fitting with shade ring to allow the shade to be fitted.